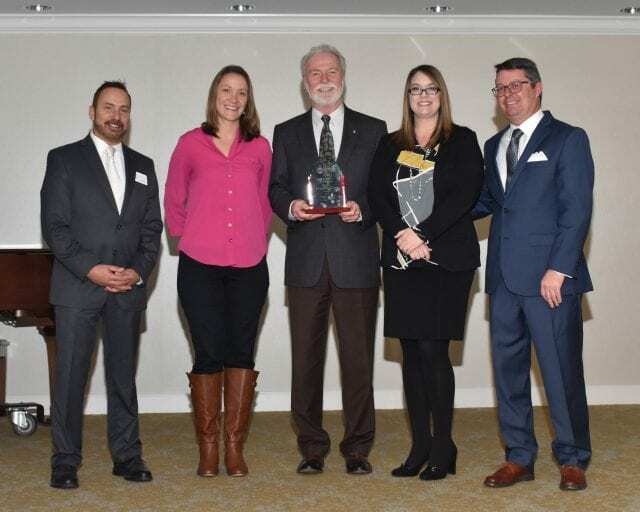 Team members Jessica Blaszak, Bill Cram, and Hayley Bowers recently accepted M. B. Kahn Construction’s 2018 Business of the Year award from the Greater Cayce West Columbia Chamber of Commerce. M. B. Kahn is honored to have helped deliver two outstanding projects in the district: the new Lexington Two Innovation Center and renovations and additions to Springdale Elementary. M. B. Kahn team members are also heavily involved in events and charities in the community. Our thanks to the chamber for this honor.